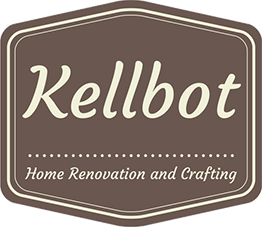 App / Gadget Round Up - Kellbot! | Kellbot! 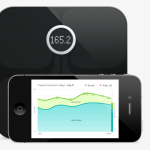 The Aria is a wifi-enabled scale which automatically logs your weight and body fat. Body fat is calculated via bioelectrical impedence, and while it’s not considered particularly accurate it is useful for tracking general changes over time. Mostly it has made me aware of when I’m just losing water weight rather than fat. It’s also shown me that when I under-eat I tend to lose lean muscle rather than fat, which is a helpful lesson as I try to steer clear from disordered eating. My Fitbit account syncs with MyFitnessPal, so if I’m active during the day MFP will adjust my calorie target accordingly. I haven’t been quite so competitive about my step count lately, as I’m pretty focused on strength training at the moment. But it’s still very satisfying to rack up 14,000 steps on a trip to the zoo. While not specifically a workout gadget, I rely on my smartphone heavily for tracking most of my workouts. Also not specifically a workout gadget, but a number of the fitness apps I use have Pebble watchfaces for quick access to info while I work out. Runkeeper uses my phone’s GPS to track how fast and how far I’ve run. You can also use it to plan running routes if you’re targeting a specific distance. 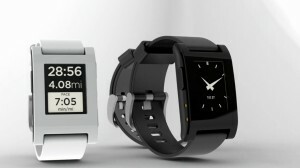 It has a Pebble watch face so I can see my time and distance at a glance without having to wait for the audio cue. I switched to Runkeeper from Nike+ because the Nike app kept crashing on my phone. Runkeeper also has an API you can use to access the data. I log everything I eat in MyFitnessPal (MFP) though sometimes I’ll skip it when I’m out with friends. I mostly cook my own food so I use the recipe builder to get a rough idea of the nutritional info. It was through MFP that I realized I was eating way too much added sugar in my diet (which remains a struggle for me). This is an app where you can earn rewards for going to the gym, and likewise pay a fee for skipping it. I set my target at 4 workouts per week, and lose $5 for every day missed if I don’t manage to hit my goal. There are three ways to get a workout to count: check in on my phone, do a GPS-enabled run with RunKeeper, or hit 10,000 Fitbit steps for the day. So far I’ve earned about $25 total (and lost $10 due to slacking). If you see me at the gym on a Sunday, it’s almost definitely because I’m behind on GymPact and don’t want to sacrifice the $5 to sleep in. This is a simple Android app I use to keep track of how much weight I’m lifting. It’s pretty basic but does let me export my data so I can make a pretty graph later. I like this interval timer because it has good Pebble integration and allows for some pretty complicated interval sets. Adidas MiCoach – the hardware became unreliable and it was out of warranty, so that was the end of this guy. A big disappointment considering how expensive it was. Zombies, Run! – Android app. No real reason I stopped listening to this one, just got bored of it. I might start again now that the weather is nice and I’m running more. Just Six Weeks – Android app. This is an app for tracking the various 100 Pushups / 20 Pull Ups / etc challenges. My goals have shifted and I don’t use this app anymore, but I still recommend it to folks. Couch to 5k – Android app. Happy to say I can now run a 5k at a 12 minute pace, and no longer need this one! Nike Training Club – Android app. This app provides a number of bodyweight and dumbbell workouts and is a great place to start when you’re finding a regular routine. Another one I no longer need but still recommend. All the Wii / Kinect exergame titles – Turns out I really like to get out of the house to work out. What apps and gadgets are you using?